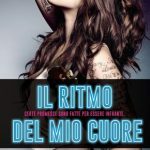 R: romanzi ...in inglese Archives - AzureStrawberry: All the books you love in just a blog! Beth Chandler ha passato tutta la vita tentando di compiacere gli altri. Ha studiato legge per far contenti i nonni. Ha acconsentito a sposare Lucas, il fidanzato maniaco del lavoro, per farlo felice. E, nonostante la fobia per le barche, è salita su un traghetto per conoscere i futuri suoceri e fare contenti anche loro. Durante un attacco di panico in mare aperto, Beth incontra uno sconosciuto alto e attraente che placa le sue paure… e le fa battere il cuore allo stesso tempo. Ben presto Beth ha una nuova ragione per andare nel panico: il suo bellissimo salvatore dagli occhi azzurri altri non è che il fratello di Lucas, Joe. Ma lei non potrebbe mai lasciare il fidanzato… Anche se l’attenzione di Lucas è più concentrata sul diventare socio dello studio legale che sulla la loro relazione. E se Joe fosse tutto ciò che Beth non sapeva di aver sempre voluto? Emozionante e coinvolgente, Scritto nel destino è la storia di una donna divisa tra le sue responsabilità nella grande metropoli e i piaceri che ha da offrire una piccola cittadina. 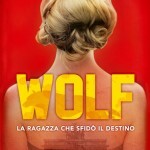 Scritto nel destino è un dolce romanzo di genere rosa che racconta la storia, semplificando, di una ragazza che non sa dire no. Elizabeth ‘Beth’ Chandler cerca sempre di compiacere le persone anche quando il farlo le crea problemi. Per questo, anche se è terrorizzata dall’idea di affogare, si trova su di un traghetto diretto sull’isola in cui vive la famiglia del proprio fidanzato…insomma, una situazione che non l’aiuta certo ad evitare un attacco di panico coi fiocchi, visto che il supposto fidanzato le da forfait all’ultimo momento per un problema di lavoro. La storia inizia quindi con dell’acqua e una “barca” (ok, è un traghetto ma quando uno è in panic-mode questi tecnicismi non importano per nulla!). Beth sta raggiungendo Anchor Island per incontrare per la prima volta i genitori ed il fratello del proprio fidanzato che, sfortunatamente, non è con lei quando la paura di affondare la sommerge rischiando un attacco di panico apocalittico. Sono Joe e Dozer, il suo cane, che la aiutano nel difficile momento. Quello che nessuno dei due sa è che Joe è il fratello che la ragazza sta andando ad incontrare. 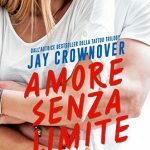 Beth non impiega molto a capirlo ma la preoccupazione di una brutta prima impressione la frenano dal rivelarsi immediatamente (visto che Joe pensa che suo fratello sia fidanzato con lo stereotipo di bionda, bella e stupida, e l’irrazionale paura di affondare potrebbe confermare l’assunzione di Joe). Peggio ancora è la scintilla d’attrazione che subito scocca tra i due. Quello che Beth non immagina è che Joe non è persona da farsi prendere per il naso e quando la verità, immancabilmente, salta fuori non è molto contento di questa bellissima ma irritante ragazza. 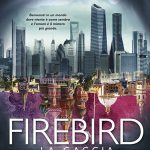 L’ambientazione, una bellissima piccola isola descritta splendidamente, ed i personaggi (forse i secondari più dei primari) sono il punto forte di questo romanzo. 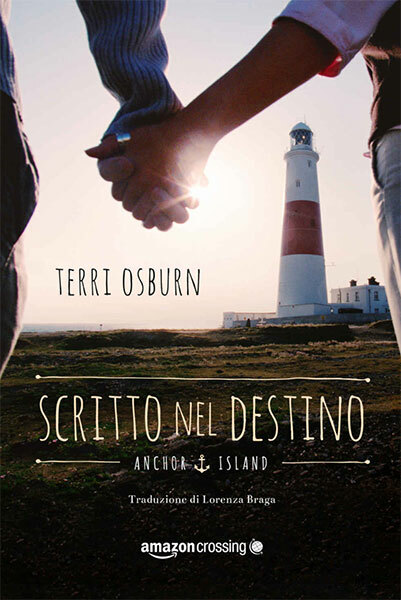 Scritto nel destino è un libro che dona ai lettori alcune ore di momenti leggeri, divertenti e dolcemente romantici. Adatto ad amanti di romanzi rosa contemporanei dalle linee classiche che non sono alla ricerca di storie complesse o ricche di antagonismo tra la coppia protagonista. Meant to Be is a sweet contemporary romance which tells the story of a girl with a penchant for, in short, saying always yes. Elizabet ‘Beth’ Chandler is always trying to please people, even if it is not really good for her, and because of that, even if she is terrified of drowning, she finds herself on a ferry directed to an island where she will meet her future in-laws…another panic-attack-inducing situation since the supposed fiancé ditches her for work at the last moment. The story begins with water and a “boat” (it’s really a ferry but hey! when one is panicking for fear of sinking these technicism are pointless). Beth is gioing to Anchor Island to meet the parents and brother of her fiancé who, unfortunately, is not with her when the fear of sinking makes her nearly have a panic attack. It’s Joe and his dog Dozer that help Beth overcome her fear during the ride to the island. What they don’t know is that Joe is Beth’s fiancé brother…it doesn’t take much for Beth to realize this but worry of making a bad first impression (since Joe thinks his brother fiancè is sure to be a blonde bimbo and she is irrationally panicking in front of him) makes her keep silent. Worst still is the sparkle of attraction that burns intense between the two. What Beth doesn’t know is that Joe has a short fuse of his own so when the truth comes out he is not so fond of this beatiful but maddeing girl who is, unfortunately, his brother’s. The setting, a beautiful small island, and the characters are the strongest elements of this romance. 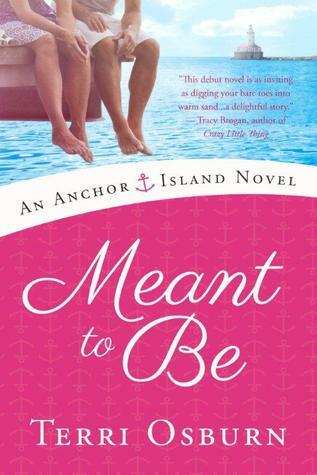 Meant to be is a book that gives its readers a few hours of easy, fun and sweetly romantic moments. Suitable to lovers of classic contemporary romance who are not searching for complicated plots or angst between the MCs. 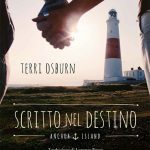 This entry was posted in contemporaneo, Libri, R: Romance, R: romanzi ...in inglese, Recensioni Libri and tagged amazon, amazon publishing, amazoncrossing, Anchor Island, book review, commento, contemporary romance, Fast Book Review UP, review, romance, romance contemporaneo, Terri Osburn. 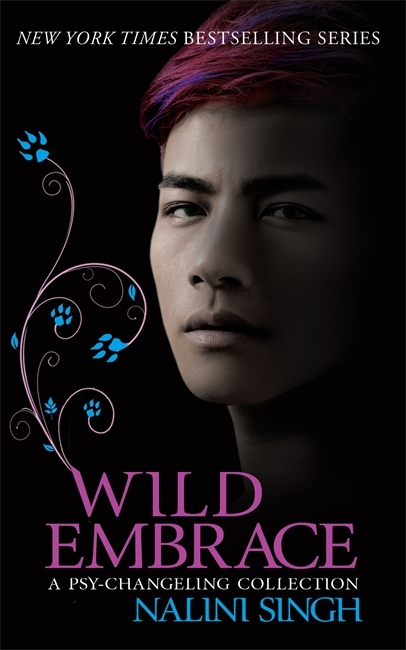 Wild Embrace is another “feeling” packed, heart sqeezing, beautifully written collection of short stories set in the Psy-Changeling World. 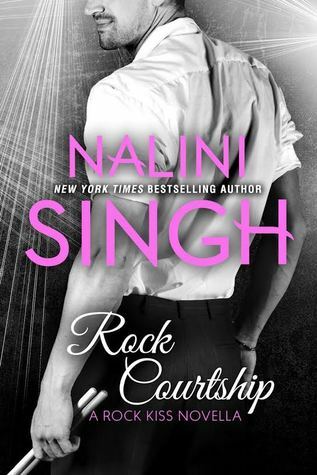 Here, Nalini gives to her fans 3 completely new stories and some scraps of scenes about Dorian. I simply LOVED Dezi and Felix’ story (Partners in Persuasion). Female dominant changeling and submissive male changeling has never been tried before by Nalini and she hendled the pair masterfully. I also found very interesting the story about Stefan (Psy) and Tazi (human) -Echo of Silence- that has definitely more weight if we look at the future of the series. In fact it is strictly linked to Allegiance of Honor and gives an ulterior insight in what happens there. Dorian’s, as I said, were just brief glimpses -cute ones, ok- on his life since childhood. However, nothing more than that. This entry was posted in R: fantasy&co., R: Romance, R: romanzi ...in inglese, Recensioni Libri, sci-fi and tagged Berkley, Fast Book Review UP, gollancz, nalini singh, psy-changeling, review, romance, romanzi in inglese, science fiction. …angry. Always so angry. At fate. At God. At Sarah. She’d left him, wanted to divorce him. Even then, he han’t realized he should be begging and crawling on his knees to make up for what he’d done, how he’d abandoned her. As usual, with Nalini’s novels, the reader can’t keep the distance from the story and its characters. They are always soo good! Creating whole, relatable, accaptivating characters is this author’s strenght, for sure. They draw you in, keeping you under, breathless. And you despar fot them, hope for them. Even if in this book some of the author’s choices are quite “simple”, in the end they are what I wanted to read to have the perfect ending (I can’t say more if I want to keep a spoiler-free review 😉 ). Another plus is that this is not only Sarah and Abe’s story. 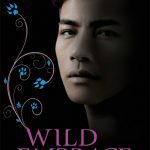 The beautiful thing about this series is that we can also follow the other MCs because Nalini creates that feeling of a family that grows from book to book (very much like the Psy/Changeling series). 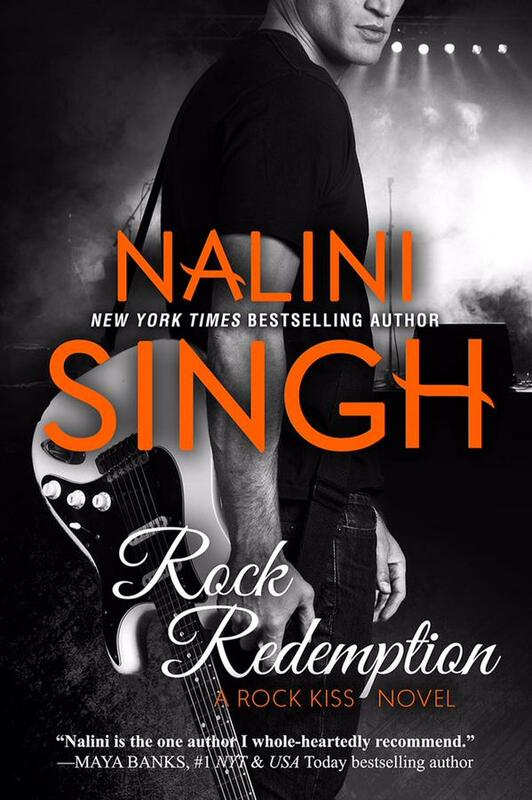 Unfortunately, this is the last novel in the Rock Kiss series and I am feeling sad and happy at the same time. 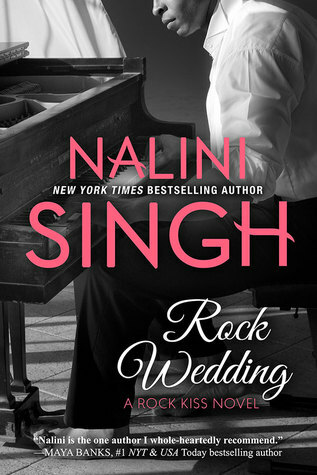 Sad that this has ended, but happy for the new stories to come (Nalini has promised new contemporary romances…she has much to write with Gabriel’s brothers. Yay!). So, thanks Nalini for another beatiful read and… to new adventures! The loneliness was orribile, but I guess I’d been burned so badly that I thought it was safer to keep my distance from people in general. Until you. 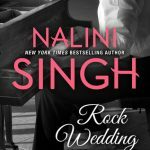 This entry was posted in ...in inglese, contemporaneo, Libri, R: Romance, R: romanzi ...in inglese, Recensioni Libri and tagged book review, contemporary romance, libri romance, music, nalini singh, rock kiss, romance. Yael, who escaped from a death camp, has one goal: Win the race and kill Hitler. A survivor of painful human experimentation, Yael has the power to skinshift and must complete her mission by impersonating last year’s only female victor, Adele Wolfe. This deception becomes more difficult when Felix, Adele’s twin brother, and Luka, her former love interest, enter the race and watch Yael’s every move. But as Yael begins to get closer to the other competitors, can she bring herself to be as ruthless as she needs to be to avoid discovery and complete her mission? When I heard about this novel, read the blurb, I immediately thought “this can be a flop to-kill-all-the flops-of-this-world or a great, one-of-a-kind, novel”. The historical period in which it is set, the Second World War, is one of those I always struggle with because of the atrocities done under the Third Reich. I don’t tend to search for books, movie, etc. that have that period as a subject. I always try to keep in mind the pain that has been inflicted in those years, because it is right to remember and not forget, but I don’t want to read or watch something that can only scratch the surface of what people suffered at the time. They can only fall short. I am not saying that some book or film hasn’t done them some justice but I feel it isn’t enough, you know? How can anything be enough? Anyway…returning to Wolf by Wolf. 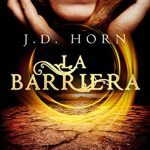 This novel has the right amount of fantasy elements and aims primarily on the adventurous part to allow me to detach from the realistic events described. Not only that but it was able to keep me engaged from start to end. In fact, the book is a sort of dystopian novel because, although based on a world that is ours, thanks to a change in the historical events we know it represents a new dreadful reality. 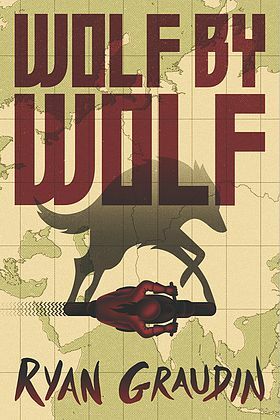 What’s different from a common dystopian book is that the story of Wolf by Wolf does not happen in an hypothetical future but in the past of 1944-56. The author imagines a what-if that terrifies me at the sole idea… the victory of Hitler and the establishment of its ideologies in the majority of the world, with USA that keeps itself apart from the conflict for fear that Hitler may turn his gaze on its conquest. The resistance has given Yael one goal: Win the race and kill Hitler. Yael is the MC and a jewish girl who barely survived the death camp where she and her mother where imprisoned when she was six. During that time she became Experiment 85 and was subjected to painful injections that had the purpose of altering her appearance (like changing the color of her eyes from brown to blue and such). They never could have expected the experiment to be so successful. Yael learns to change completely her look and, after having lost all that she holds dear, she manages to excape from the camp assuming the aspect of the commander’s doughter. After that, Yael finds herself alone in a world that she is not prepared to confront. Fortunately, it is in that moment that she stumbles upon the resistance, people who are trying to subvert Hitler’s rule. After discovering her, they bring her in providing a new, albeit undercover, home. Yael becomes the secret weapon they were waiting for. The last hope of the revolutionary group. Indeed, thanks to the unexpected victory of a girl, Adele Wolfe, in the previous edition of the Axis Tour -this motorcycle race where the best German and Japanese young males compete for supremacy (a race born to show the superiority of the Aryan race)- Yael has the possibility to replace her in the new race that it is soon to be held. By winning the Tour she can have the opportunity to approach and kill the Führer, putting an end to his dictatorship. Obviously, the job is not so easy. In addition to all the other participants, who will try to maim her if not kill (yeah, it is that bad), there is Adele’s twin brother to keep at a distance as much as possible. And the memories. All the wolves she has to avenge, and that keep her company during the journey, will add to what Yael has to face to win the most important challenge of her life. 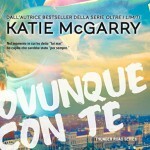 This entry was posted in angeli&demoni, contemporaneo, distopico, Libri, mutaforme, Plushie, R: fantasy&co., R: Romance, R: romanzi ...in inglese, ragazzi, Recensioni Libri, romance, saggi&manuali, storico, timetravel and tagged alternative history, book review, commento, distopico, fantasy, little brown books, mutaforma, romanzo avventura, romanzo fantasy storico, romanzo Terzo Reich, romanzo what if, Ryan Graudin, sci-fi, shapeshifters, storia alternativa, young adult.